Christine Day is a Juilliard student looking to make a break on Broadway. With the help of a friend, she stumbles across the sheet music for a hundred-year-old opera, which she takes to an audition. But when she performs the song from said sheet music, she is struck by a sandbag, knocked through a mirror, and rendered unconscious. She awakens in 19th century London rather than modern-day Manhattan and is the understudy of opera star La Carlotta in a new production of Gounod’s Faust. Impressed by young Christine’s voice, a mysterious figure claiming to be an angel of music uses murder to ensure that she inherits the role of Marguerite. The angel is in fact Erik Drestler, a disfigured composer who lives in the bowels of the London Opera House; he has sold his soul to the devil in exchange for immortality, and in return the devil has cursed him to be a hideous imitation of his former self. Now Erik—known by the people who work in the theatre as the Phantom of the Opera—must continually replace the skin on his face, but to do that, he needs a constant supply of fresh victims. Gaston Leroux’s classic French novel Le Fantôme de l’Opéra (1910) must have seemed ripe for a big screen resurrection in 1989, given the recent success of Andrew Lloyd Webber’s Broadway musical, as well as the fact that a theatrical film adaptation hadn’t been attempted since Hammer’s The Phantom of the Opera, which had bombed in 1962. 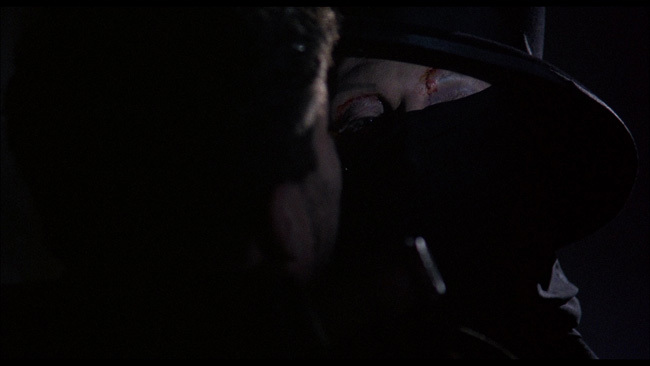 Enter Dwight H. Little, fresh off the surprising success of Halloween 4, which had given a shot in the arm to Moustapha Akkad’s legendary franchise. Little had received a phone call from Menahem Golan, who was seeking a director for a new film based on Leroux’s novel. Eager to prove his directorial chops, Little accepted. Standing sets that had been constructed in Budapest for Mack the Knife (1989) were already prepared for use, and a script had already been written. After going back and reading the novel, Little approached Duke Sandefur to draft a new script that adhered more closely to the original story, though with a modern, nasty edge. Golan and producer Harry Alan Towers also approached Robert Englund for the title role of the Phantom. 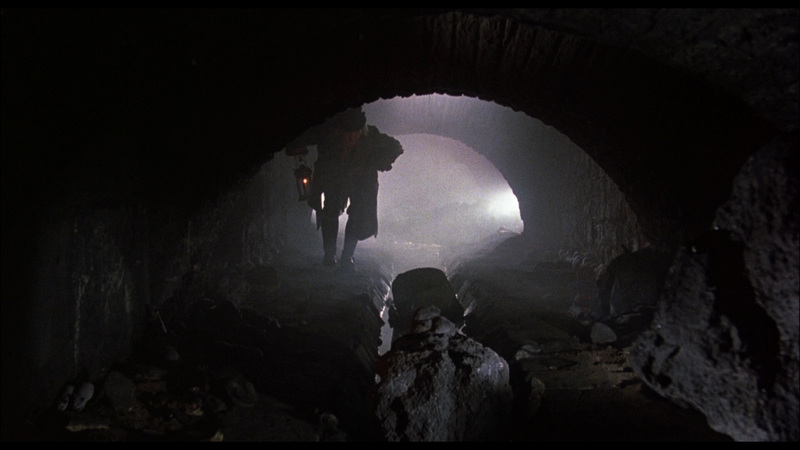 It isn’t surprising that the film bears a closer resemblance to Hammer’s version than it does to any other, thanks to Englund and Little’s love for the famous horror studio and the change of locale from Paris to London. 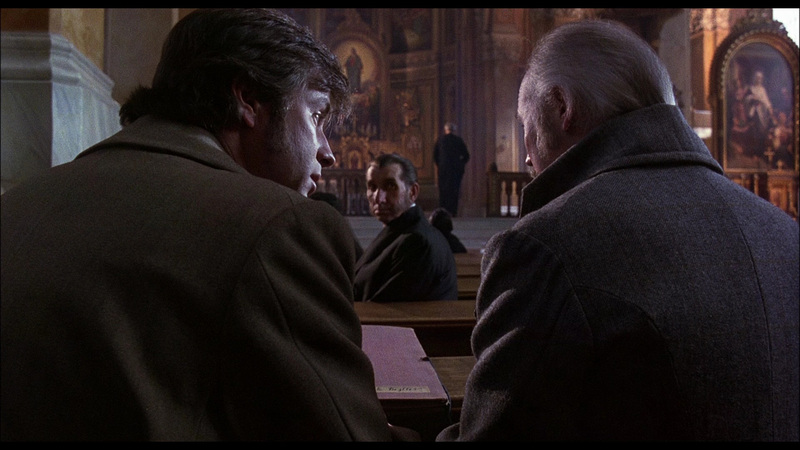 The film does diverge from the book in some ways, such is in its Faustian charge, though it hews closely in other ways. Unfortunately, when it was released in 1989, audiences were not receptive to its uncomfortable mix of violence and poetry and shunned it. The film’s poetic approach to violence, however, is what sets it apart from its contemporaries, resulting in a strikingly original work at a time when horror cinema had become bogged down under slasher repetition. If it has any failing, apart from its modern bookends, it’s that Little’s otherwise superb direction is occasionally marred by awkward slow-motion shots. None of that lessens the impact of the picture overall, and in particular Little’s approach to framing, which at times resembles that of Terence Fisher, the undisputed master of Gothic horror. Little is helped out by some terrific casting. An unrecognizable and relatively young Bill Nighy is superb as the owner of the opera house, and Jill Schoelen acquits herself well as naïve but sweet-natured Christine. Even future SNL alum Molly Shannon does well in a bit part. 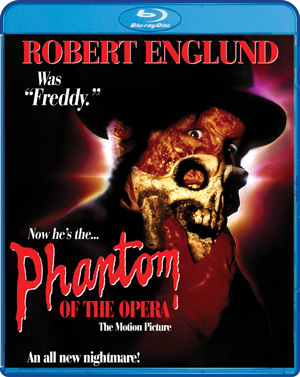 But, exactly as one would expect, it’s Robert Englund who dominates the proceedings as the lovelorn, seething Phantom. He is serviced by a superb make-up design from Kevin Yagher, terrific costumes, and an engaging script. 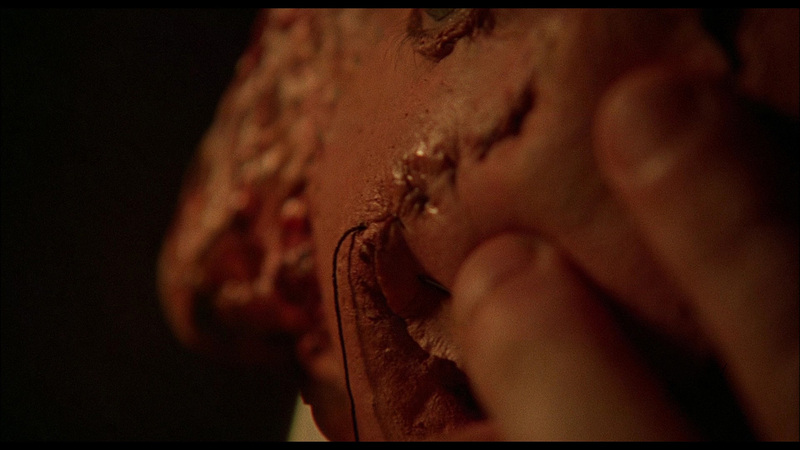 When the Phantom sews new grafts of skin onto his rotting face, the effect is shocking in its realism. The same is true of the film’s other violent effects; they are convincing and gruesome, pushing the R rating to the limit. Too bad some of them had to be cut for that rating and remain missing to this day. Audiences at the time may have balked at the film’s bloody imagery, insisting that it was more akin to the slasher genre than to its Gothic horror roots. But such a criticism seems nonsensical today, suggesting as it does that moody cinematic fare cannot utilize violence for aesthetic ends. The violence is not gratuitous. It’s part and parcel to the film’s success. Little’s The Phantom of the Opera was the first unabashedly horrific version of Leroux’s tale and, as such, has earned a place in the history of the horror genre. 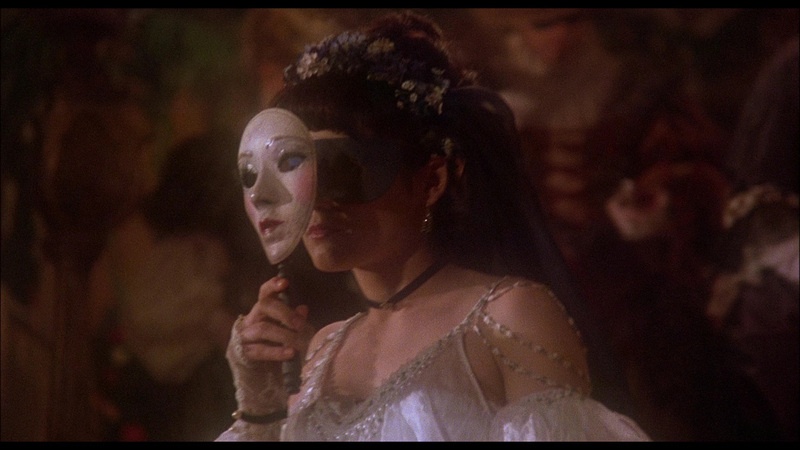 Scream Factory has brought The Phantom of the Opera to Blu-ray in 1080p in its original 1.85:1 aspect ratio. The video is quite good, with solid colors and a more-than-adequate level of detail. When the film steps from present-day Manhattan to 1800s London, it becomes the perfect showcase for the Blu-ray format, particularly during the masquerade ball, where the Phantom provides a splash of red in a sea of more mundane dyes. The details are strong, particularly during the external street sequences and the scene in which Christine visits her father’s grave. Director Little manages some striking shots, and the transfer does well by them. There’s little crush, and the grain, while there, never takes over the screen. There are some minor blemishes as well as occasional soft spots, but these are never too distracting. All in all, it’s a strong image that is sure to please diehard fans of the film while winning over a few new ones. 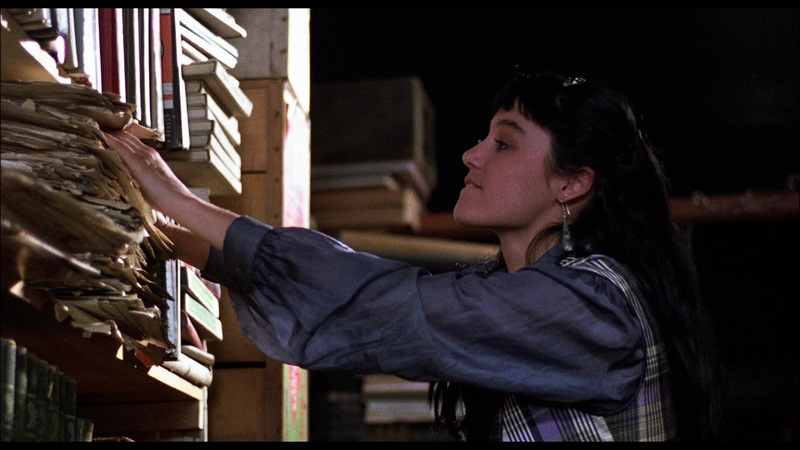 As with most film adaptations of Leroux’s novel (the silent version notwithstanding), music is an all-important element. In that regard, this Phantom is no let down and neither is Scream’s presentation. Misha Segal’s beautiful score and accompanying songs are well served by the disc’s two audio tracks: a DTS-HD Master Audio 5.1 track, which is the best; and a DTS-HD Master Audio 2.0 track. (There are also English subtitles.) Rounding out the tracks is an audio commentary with Little and Englund. It’s a fun commentary, with the two participants obviously enjoying each other’s company. They repeat some of the information found in the documentary that’s included, but they do so at greater length while covering new information, touching on virtually every aspect of the production and offering anecdotes along the way. It’s a self-effacing commentary that not only understands but also dissects some of the film’s issues. Scream has seen fit to include a number of terrific extras for the film's release on Blu, including the original theatrical trailer (running slightly less than two minutes in length), a television spot (running approximately thirty seconds in length), and two radio spots (running approximately two minutes in length). 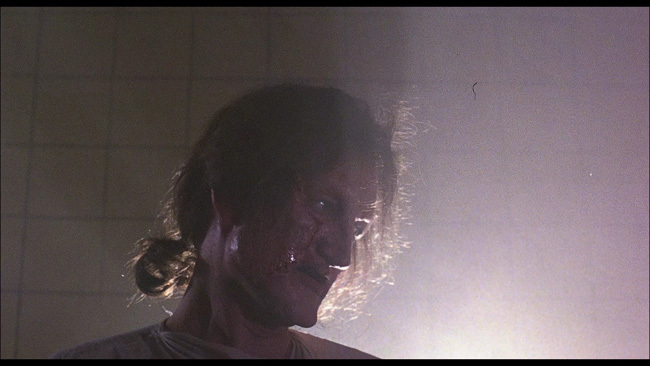 The marketing campaign, in connecting the film too closely to Englund’s role as Freddy Kruger in the Elm Street franchise, clearly worked against the film rather than in its favor, focusing as it did on the film’s brutality and none of its beauty. Also included is a still gallery of promotional photographs and shots from the film. The gallery runs approximately five and a half minutes in length. There are also trailers for a trio of other Scream Factory releases, including Candyman: Farewell to the Flesh (1995), The Phantom of the Paradise (1974), and From a Whisper to a Scream (1987). But while these extras are cool, there’s one that stands above the rest: a thirty-eight minute documentary titled "Behind the Mask: The Making of The Phantom of the Opera." Produced by Michael Felsher’s Red Shirt Pictures, it features a number of interviews with the film’s cast and crew, including Little, Englund, Schoelen, Sandefur, Segal, and Yagher, as well as actor Alex Hyde-White and make-up effects artists John Carl Buechler, Everett Burrell, and John Vulich. The documentary is highly informative and is virtually worth the price of the disc alone. 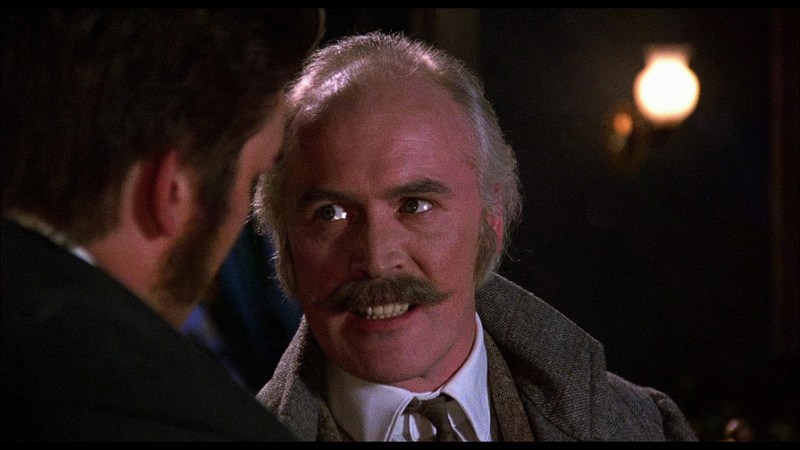 The Phantom of the Opera is a surprisingly good film; it moves at a breakneck pace, and the level of violence has come into its own since the film was first released to unfairly mediocre reviews in 1989. Needless to say, it has aged well and today can be viewed afresh, divorced from the slasher genre to which it was once so inextricably attached. 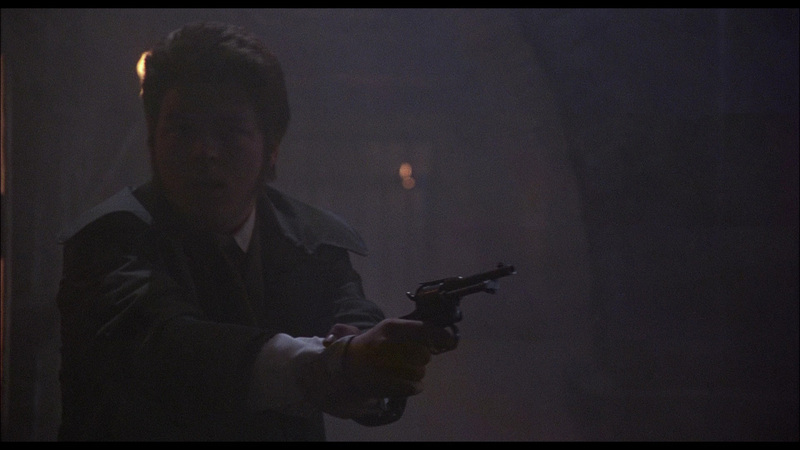 It’s a violent period drama with romantic asides, and as such, it works. Scream has given the film a solid transfer and some nice extras, the best of which is the documentary "Behind the Mask: The Making of The Phantom of the Opera." Fans of the film will need little incentive to upgrade. But for fans of the horror genre in general who disliked the film when it first came out, now is the time to give it a reappraisal, and Scream’s Blu provides the perfect format to view it in.